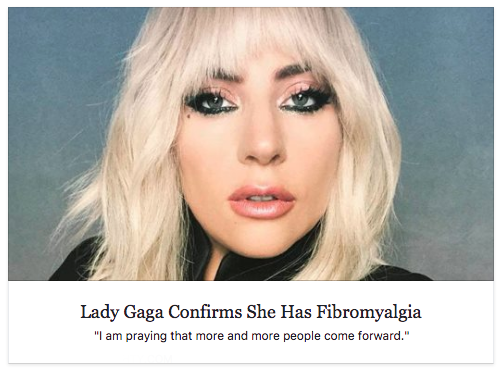 I, Like Lady Gaga, have Fibromyalgia. If I could have gotten $10 dollars for every person who sent me this article when it was released I could have finally bought one of the Dosis Relief Dose Pens. I'm not sure I love the wording she used in this article but its nice someone is shedding light on it. Fibromyalgia is real and it hurts. I deal with it daily. I think what really needs to happen rather than having "more people come forward" (- lady gaga) is for people to acknowledge it as what it is, a disease. Not a joke, not an excuse, but something very real and on some day very very painful. This is my main motivation in my curiosity for cannabis. I was diagnosed with Fibromyalgia in 2013. I was silly enough to think that my absence from yoga class was giving me the pain I was feeling through out my entire body. After speaking to my doctor about it, he basically said "duh you have fibromyalgia" and immediately put me on medication. Pain management is why cannabis caught my attention. Through this process, I will try to find a balance of nutrition, exercise along with a little help from my friend, Mary Jane.